When two former federal Treasury economists, David Chessell and Geoff Carmody, set up their own independent consulting firm 30 years ago Australia was in the midst of a golden era of economic reform. Then prime minister Bob Hawke and treasurer Paul Keating had floated the dollar, opened up the banking system, cut tariffs and were going hard at a micro-economic reform agenda that tried to marry stronger economic growth with equity. Chessell and Carmody were both aged 40 and felt that if they did not take the risk of setting up their own firm then they would never do it. They formed Access Economics, which is now called Deloitte Access Economics, and proceeded to have more influence outside of government than within it. Karen Chester of the Productivity Commission. Keating’s opening up of the financial system led to an exodus of economists from Treasury and to a lesser extent the Reserve Bank as every bank sought to offer clients the best in economic forecasting. Well-known economists who opted to leave the public service and double or triple their salaries included Saul Eslake, Alan Oster, Rory Robertson, Bill Shields, Des Moore, Michael Heffernan, Don Stammer, Chris Caton, Stephen Koukoulas and Ivan Colhoun. It is fair to say that Chessell and Carmody were the most successful out of all those who left the public service for the private sector. The firm they founded now employs 180 economists. Deloitte reckons it is one of the largest economic consultancies in the world. Its influence goes beyond its clients thanks to its prestigious alumni. Former employees include Reserve Bank board member Ian Harper, principal adviser to the Treasurer, Peter Crone, and the Productivity Commission’s Karen Chester. Economist Saul Eslake was among Deloitte Access Economics’ employees. It is ironic that the surge in demand for private sector economic advice as shown by the success of Access Economics is occurring at a time of paralysis in the formulation of new economic policies. Chessell says the demand for economic forecasting and in-depth industry analysis will increase as companies and large investors such as superannuation funds seek to develop strategies to cope with changes wrought by artificial intelligence, machine learning and algorithms in all their forms. 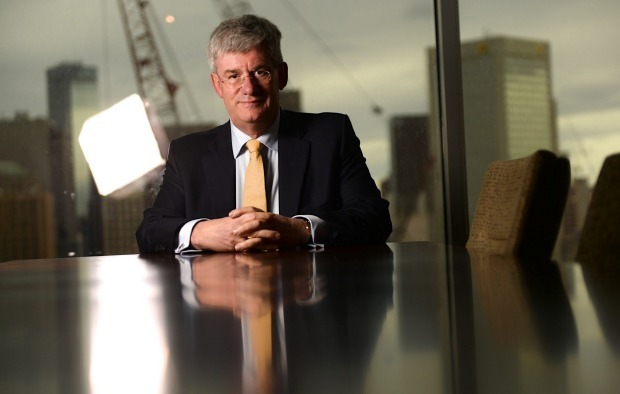 Chris Richardson, who is arguably the best-known economist in Australia and was the first employee of Access Economics, said one of the reasons the firm was successful was it managed to earn the trust of the public. He always took the view that everyone has a second job, which is to make the world a better place. He says one advantage Australia has had in developing strong economic policies over many decades has been the quality of economists working in the media. Dr Peter Shergold says he worries about what has been happening in the public service. “I remember a quarter of a century ago having a spell of three years at the International Monetary Fund and then moving to Washington DC and reading The Washington Post and The New York Times having come straight from Australia and leaving the Financial Review. When he spoke at the 30th anniversary dinner, Richardson said that after working on a report he would not really understand the meaning of his work until a journalist had synthesised it in a story. “It’s actually improved my understanding and I am the one who busted a gut on the details,” he said. Chester told the dinner that Access changed the face of economic debate in Australia through its independent economic forecasting work, including its regular Budget Monitor. The next edition is out on Monday week and Richardson expects to cop flak from the Treasurer Josh Frydenberg. But Chester says the height of the firm’s influence was its pre-election fiscal costings for opposition parties. This work turned out to be party agnostic with eight major election opposition costings, including four for Coalition clients and four for ALP clients. 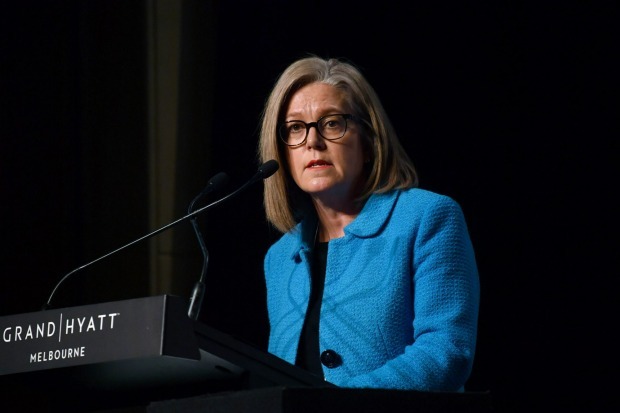 “It’s a stream of work that Peter Costello ultimately nationalised in creating the Parliamentary Budget Office in 2011 – creating a new frank and fearless institution in Canberra,” she said. Some of the most insightful comments about policy paralysis and the impact of a loss of trust in institutions came from Peter Shergold, the chancellor of Western Sydney University and former public servant. He was CEO in the Australian public service for two decades, working with prime ministers and ministers from both sides of politics. Shergold says he worries about what has been happening in the public service. “For most of my life I was generally of the view that the political world I would leave my grandchildren would be better than the one I had come into,” he said. “I thought we were broadly moving in the right direction in terms of secular liberal democratic values. “Now trust in politicians is down to about 16 per cent, but that’s not all. It’s the trust in all the institutions: journalists, trade unionists, lawyers, business, religious leaders is at a very low level. 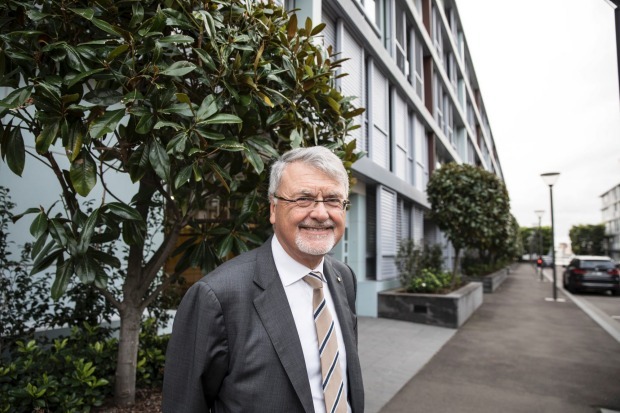 Shergold says there has never been a greater need for a strong “traditional” public service. “I want it to be agile, adaptive and efficient, but I want a non-partisan apolitical public servant able to speak robustly to governments and help transitions of governments and serve successive governments with equal commitment,” he said. “I have just done a survey of people who turned up at the Institute of Public Administration. So I got a survey done of 830 public servants. These are long-serving public servants, quite senior who come along to IPA meetings, people who care about the public service, and 75 per cent are still proactive public servants. “Here’s the truth – 60 per cent think that ministerial advisers play too great a role, 70 per cent think consultancy companies play too big a role, less than half believe that governments are now providing frank and fearless advice – this is people on the inside. Only a minority think that governments themselves appreciate what they do. Shergold said the public service needed to be revitalised.